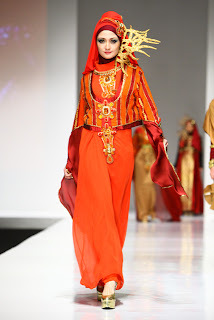 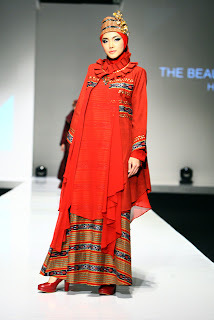 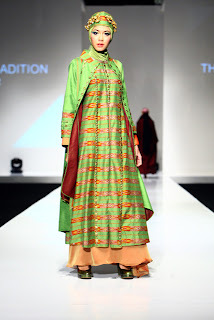 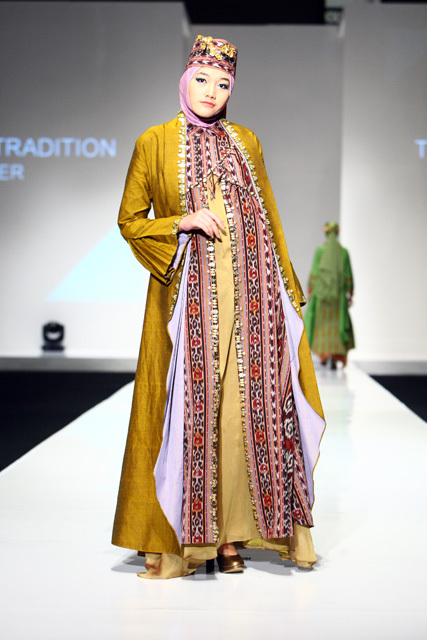 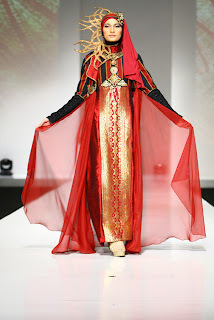 Several talented Indonesian fashion designers showcased their Islamic wedding dresses designs at the Indonesia Fashion 2012. 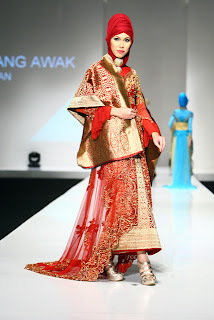 Today's post provides a look at some of the Indonesian Islamic wedding dresses. Key words that describe the experience: colors, vibrant, striking and unforgettable. 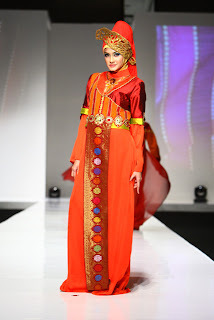 If you are looking for a unique Islamic wedding dress with pomp and color, then consider some of the Indonesian Islamic wedding dresses. 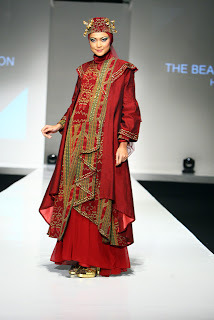 One can't go wrong there!